Glow is certainly an interesting read and one that has the potential to led into an epic series. 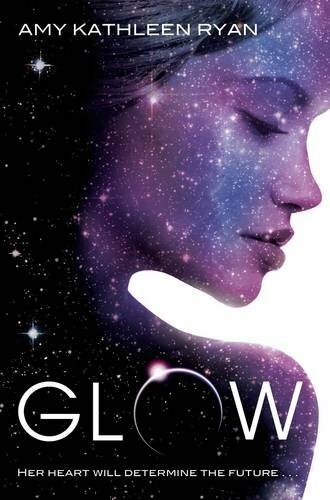 Glow is told is a split narrative following the story of Waverly and Kieran a teenager couple who live aboard a space ship heading away from earth to find a new planet to populate. It starts dramatically as the two are torn apart after the ship is breached by crews members from a sister ship and the girls are taken away and the rest of the ship is severely damaged. Both ships are part of the same mission to find a new planet the only distinction being that Waverly and Kieran's ship is a secular one whilst the other ship is religious, authorities deciding that making such a division was wise to ensure harmony aboard both vessels. After the accident the girls are taken to the other ship and find themselves living alongside the religious inhabitant of the ships, the female inhabitants of which who, as it transpires, are all infertile. Having young people aboard is seen as a novelty and you get this unsettled sense of there being something not quite right with this ship as you read through the story. I liked the idea of isolation the book conjures up and seeing the lengths 'good' people were prepared to go to for the survival of their people. This book is very good at making you think about moral dilemmas and plays around quite freely with the idea of how far people are willing to go in the name of religion. I do this some people may be turned off this book because of the religious overtones as some sections do come across a little bit preachy in places and I imagine readers who have little tolerance of that sort of thing in their reading may feel it is a bit much in places. I was fascinated with the ideas the book played out around the cult of a leader and how one person can drive and change things within a society, even if they aren't entirely good things, through saying the right things and through the force of their status within a society. Not a quick and easy read at all and certainly a book you need time to consider and think about as you are reading it but certainly one that leaves you feeling that this is a series that is going to be epic. 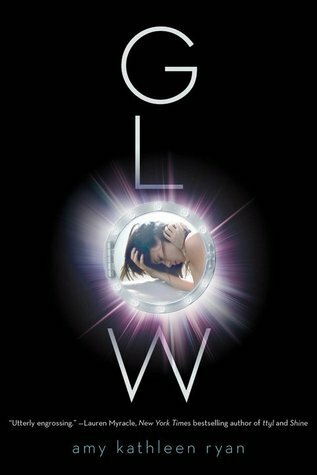 I found Glow very unique and interesting with all the different issues brought up within the story. I did have a bit of a problem with relating to the characters, but will definitely read book two when it come out. Interesting review. I have this book and I did start it recently but I put it down for awhile and haven't gotten back to it. I couldn't really put into words then what it is that put me off the book, and I still can't. Especially as I hadn't quite gotten to the main parts of the story. *shrugs* I don't know.